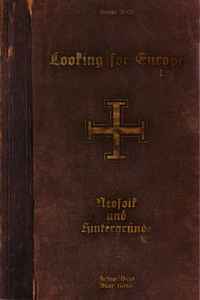 Comes with the 548 page book "Looking For Europe" written by Andreas Diesel and Dieter Gerten, an A2 poster and an 106 page hardcover booklet which includes the 4 CDs and an one sided info-sheet. Limited to 500 hand numbered copies in a cardboard box. Tracks 1-02, 1-03, 1-13, 2-04 and 2-09 are unreleased versions. Tracks 1-04, 1-07, 2-02, 2-13, 3-01, 3-07, 3-08, 3-10 and 4-11 were previously unreleased. Track 1-05 is taken from the Wicker Man soundtrack. Mastered at Klangschmiede Studio E.